I was so excited when I heard about the 'Christmas Jumper Challenge' where bloggers were being sent jumper on behalf of George at Asda and I create a outfit of the day! I decided to go with the adorable Minnie Mouse jumper that is red for the festive season and sparkly which I love! 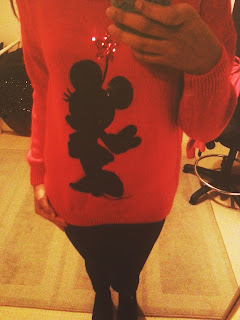 Everyone has to have a festive themed jumper in their wardrobe and I am so happy that I decided to go with this one for my first ever jumper. Telling you the truth it is so warm and cosy and I thought the best way to wear it would be with leggings and some boots as the jumper is sparkly and everything needs to be simple! 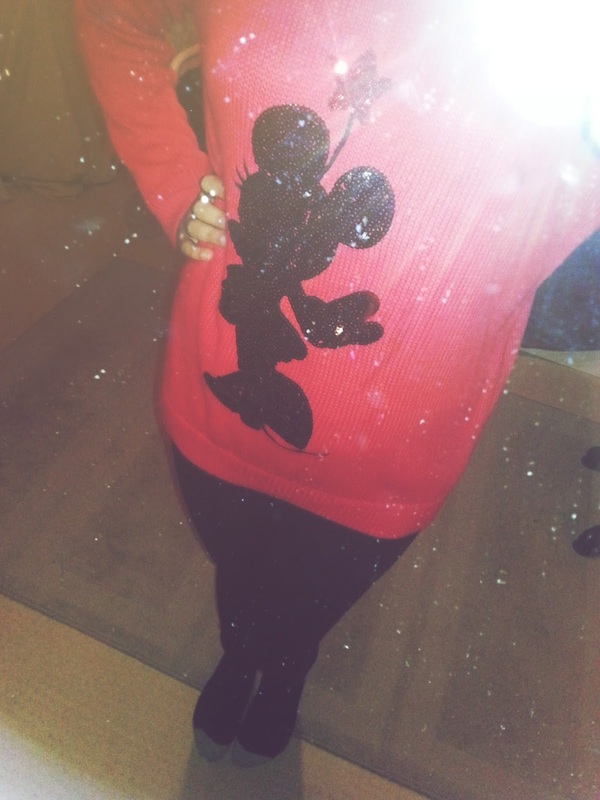 I am so surprised with the quality of this jumper, it is so cosy and just feels really wintery and warm. 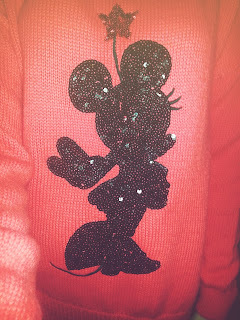 I love how the jumper is this bright and vibrant red and then you have this minnie mouse outline that it all in sequins and looks super pretty in the day and at night.